What is the difference between QIGONG and HUA GONG? There are hundreds of different styles of Qigong. Hua Gong is the style of Qigong developed by Chinese Masters Zhixing Wang and Zhendi Wu and taught by them and their senior students. Hua means transformation, integration and liberation. It is practised mainly through meditation and simple body movements. Relaxation, visualisation, breathing techniques, sounds and mantras are the various techniques used in Hua Gong. 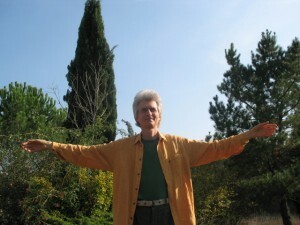 To integrate Qigong principles into daily life is also an important part of the practice. It is simple enough for beginners to learn, and profound and sophisticated enough as a lifelong practice.